Aerial close-up of the LA Stadium at Hollywood Park in Inglewood. Mark Holtzman - West Coast Aerial Photography; Inc./Mark Holtzman - West Coast Aerial Photography, Inc.
Aerial view of the LA Stadium and Entertainment District (LASED) at Hollywood Park in Inglewood. 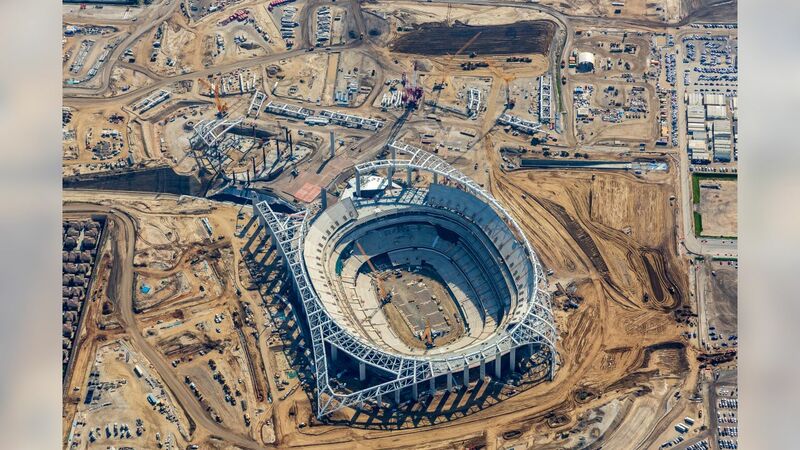 Wide aerial shot of the LA Stadium and Entertainment District (LASED) at Hollywood Park in Inglewood.